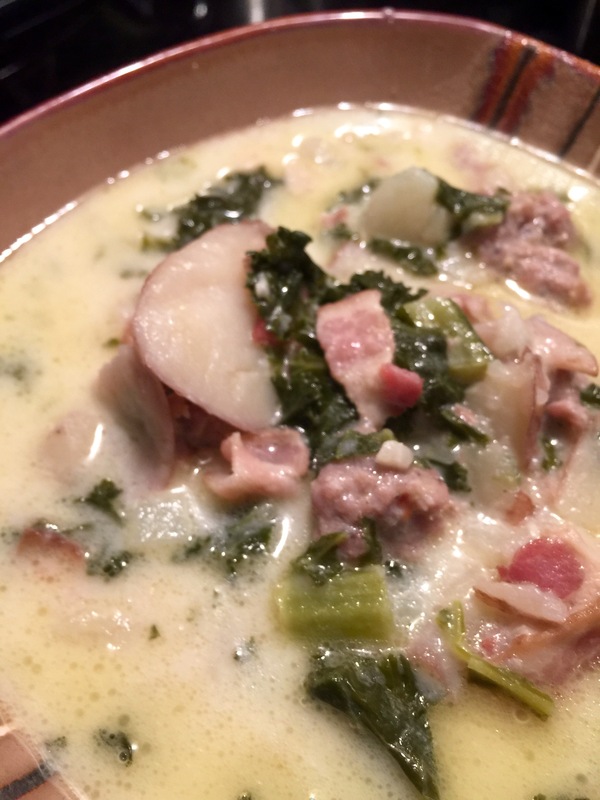 There’s been this video floating around Facebook…crockpot Zuppa Toscana. 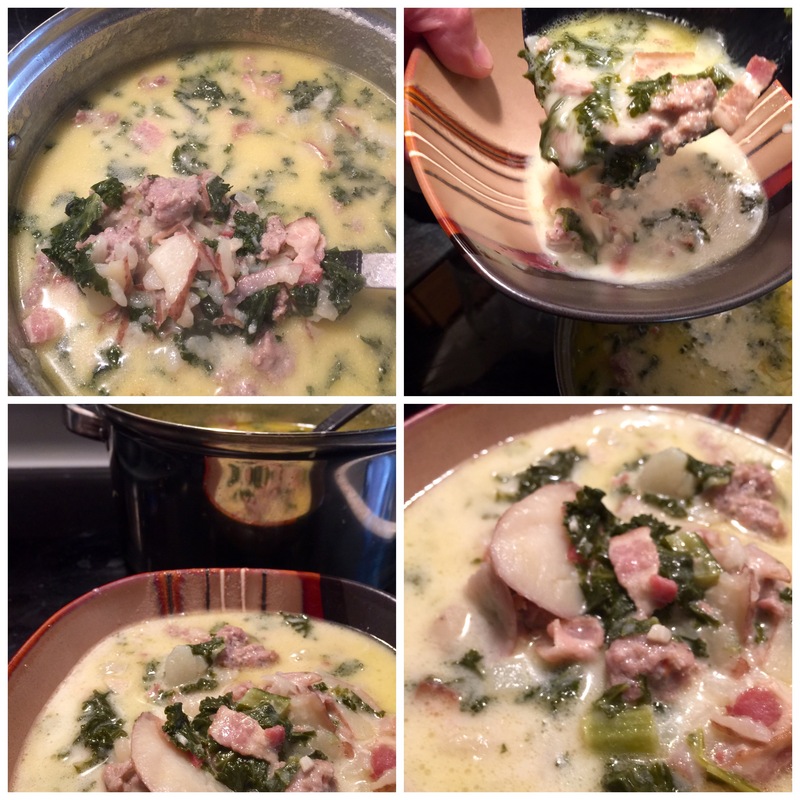 I crave it more each time I see it, and with this chilly weather, I decided to find a non-crockpot recipe and whip it up. – I didn’t have crushed red pepper. I added a little extra freshly ground black pepper. – I didn’t measure the kale or cream. – I didn’t drain the sausage, and I added some butter. It was aaaaahmazing. Warm, savory, and even better tomorrow. My mancrüsh and I paired it with Wegman’s garlic knots. Tres bien.